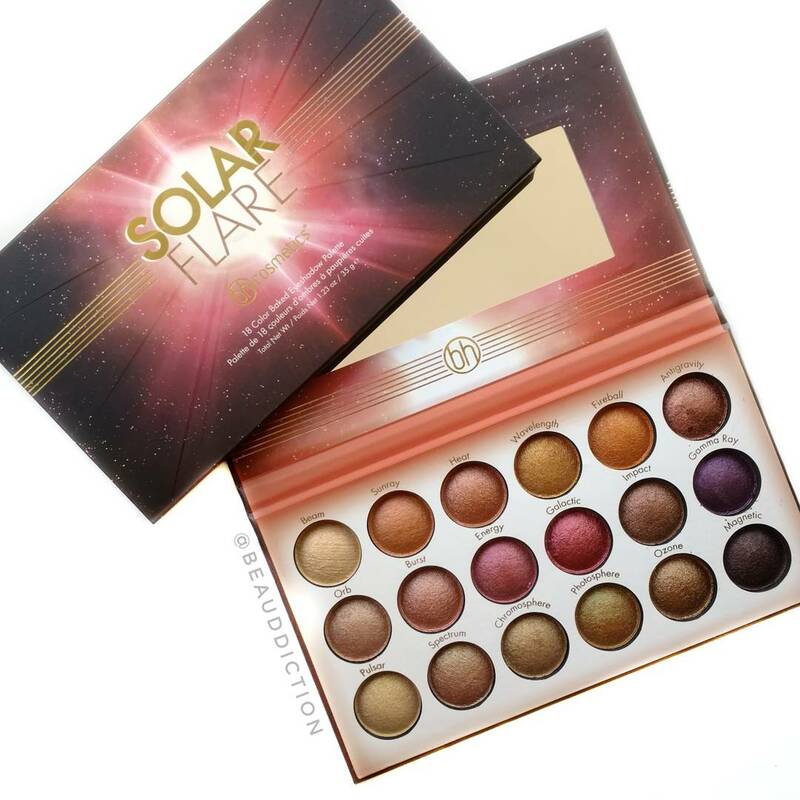 I just got the new bh Cosmetics Solar Flare Palette ($15.99 at bhcosmetics.com) in the mail today and I couldn't wait to get some swatches up for you guys (I've been getting a lot of requests about this one!). The various sneak peeks of the palette on social media seemed to be in different lighting, making the shades look one way in some photos and another way in others. 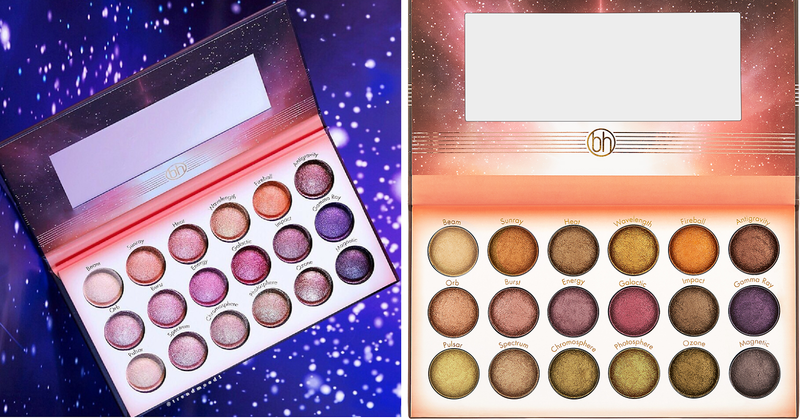 In the promo photo on the left, the palette looks like it has a lot of pink and purple toned shades, while the photo on the right from the bh Cosmetics website shows the shades leaning more orange, green, and brown. So I went ahead and took some photos in natural lighting so you can see what it actually looks like in real life. Turns out, it's closer to the photo on the right with tones of brown, green, and orange, and pops of purple, pink, and burgundy. 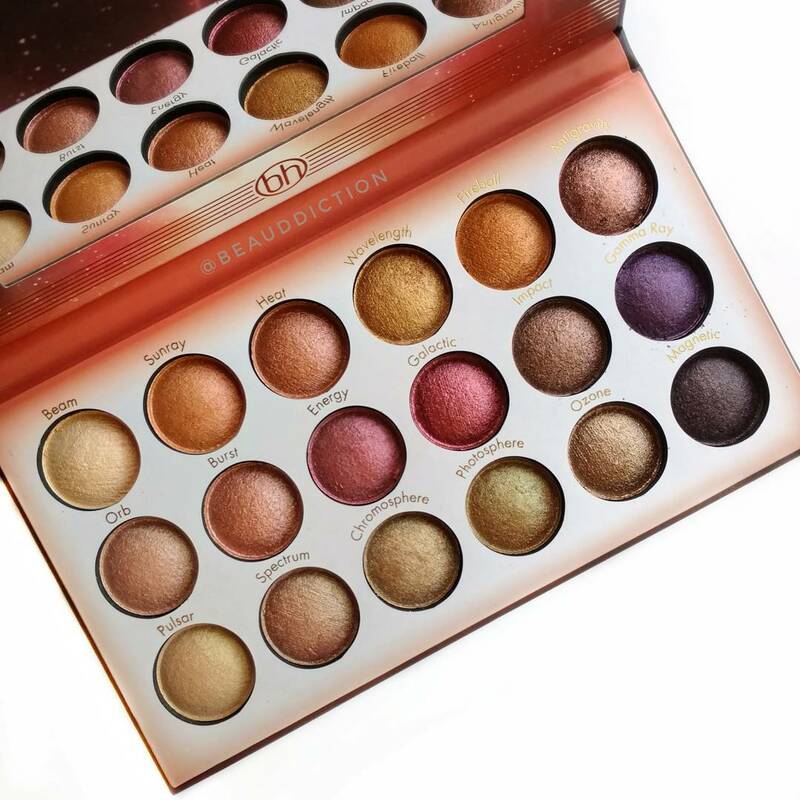 If you already own the Galaxy Chic or Supernova Palettes, you're familiar with bh Cosmetics' baked formula. It's very soft and nicely pigmented, and if you use the shades wet (or over primer) they take on more of a foiled look. All of these shades are a shimmery finish (some more than others), so there are no mattes included here. To be honest, I was a little bit disappointed in the shade selection in this one...I'll admit, I was one of the people hoping for a more pink/purple/mauve color scheme. Don't get me wrong, there are some gorgeous shades in the palette...I just feel like there are a lot of greenish-yellowish shades that are very similar, particularly on the bottom row. The don't necessarily seem to jive with the pinks and purples that are sprinkled in so that was a little confusing to me. Overall, I'm on the fence with the new Solar Flare palette. I'll have to play with it a bit more, since I really do like the formula and I think a lot of these shades would be really pretty for a shimmery warm-weather eye look. I just don't know how crazy I am about some of the colors in here...what do you guys think? I'd love to hear your thoughts! The pinks and peaches are gorgeous but I see what you're saying with the olive-leaning gold colors. I passed on buying this and picked up the foiled palette instead (the original and the Club Tropicana). Oh nice! I was intrigued by the Club Tropicana but decided I won't wear most of the shades. It's so pretty though! Were these swatched over a primer? 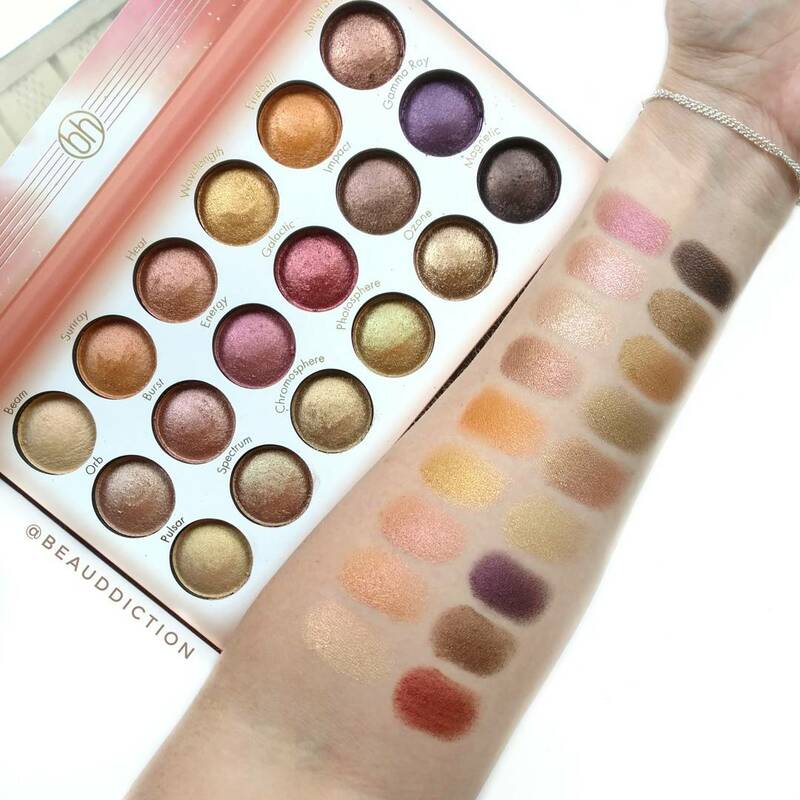 How many times was the finger passed over an eyeshadow for each swatch to be made? I order the pallet cause I really like all the colours, I am looking forward to receive it!